Are your comments closed? Are they set to moderation? Are your comments wide open for all without question or challenge? Are you comments open for business? Why do people turn off open, unregistered comments to require people to login in order to comment? 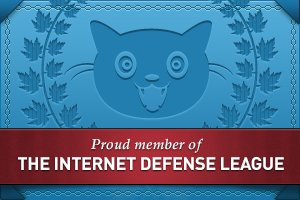 I’m not talking about member-only or private blogs. I’m addressing normal blogs. Not every blog post needs comments. Turning off or closing comments is different from closing them off from easy public access. One school of thought is that this protects the blogger from horrid comment spam. With today’s excellent comment spam catching tools available, this is no longer necessary. Another school of thought is that this regulates who will comment and who won’t. In other words, if they go through the ordeal of registering, then they really must be fans or have something worthy to say, so we’ll let them in and keep out the rest of the riffraff. One of the reasons I can’t stand commenting on Blogger blogs is the funky way comments are handled, taking me to a separate page and making me jump through hoops. I do it, when I’m really serious about making my comment, but I don’t like it. If you want comments on your blog, then I think you should make it easy for people to comment. All the silly games people play with moderation, CAPTCHAs (which have never worked and continue to not work), quizzes, and other forms of comment torture tests, I call them Commentum Login Interuptus, the process of interrupting our ability to comment which drives commenters away. I can’t tell you how many times I’ve been inspired to comment, to continue the conversation, argue back, defend rights, speak my mind, say thank you, say something on a blog, only to feel dismissed when comments don’t work, I have to jump through hoops to leave a comment, or comments are closed. Total commentum interuptus. Does your site suffer from this? Today’s blog exercise is to truly examine your comment status and evaluate whether or not your comments are open for business. 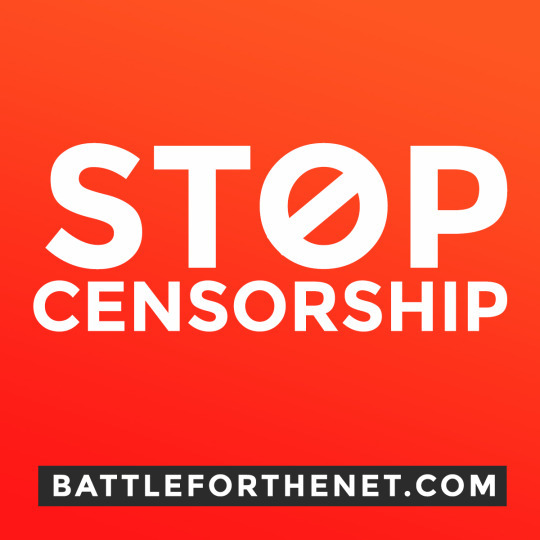 It is up to you to have comments turned on, moderated, or off. Just know your options and be really clear about why you have made your choice. There are many reasons why you may choose to have comments turned off. 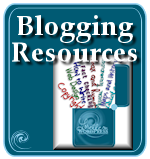 In “Is Your Blog a Conversation Blog or Answer Blog” I offered ideas on what types of blogs and blog content would make a blog appropriate for comments, or not. 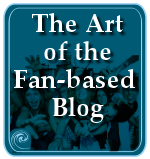 A conversation blog is one that incites a dialog between the blogger and the reader. It doesn’t give you all the answers. It leaves room for you to answer. It challenges you to come up with answers. It is designed to get you thinking and invoke a response. Each blog post develops a relationship with its readers. There is another lesser known style of blog that features little or no dialog, yet can inspire a different level of conversation: inner dialog. 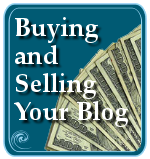 I have many names for these types of blogs, information blogs, thoughtful blogs, inspirational blogs, thinking blogs, but these descriptive names can apply to other types of blogs. These “inner dialog” blogs need little or no response. Comments are often turned off. They are unnecessary to the success of the blog. 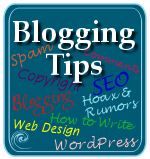 The blogger is just providing information, be it their personal story or a way to communicate in a one way direction. If you don’t need a response, turn off comments. If you do, turn them on. Just know why and be prepared to defend yourself either way. It is fine to moderate comments if you wish to ensure only the appropriate comments get through. There is a feature in WordPress to moderate comments the first time someone comments. Once approved, the commenter is approved for life, so to speak. This isn’t perfect but it tends to keep out some of the riffraff. Many bloggers think that comment spammers go after old posts more than new posts, so they turn off comments after 2 weeks or so. This isn’t true as spammers will go after anything they find, dates not stopping them. I find that comments on posts even 10 years old still have value as the information is often timeless. Here are some more things you should know before you turn off your comments. Learn how to comment and how to recognize a good comment when you see one. Set an example for others to follow on how to interact on your site and others. If comments are open, say so. If you choose to moderate, warn commenters that comments will be moderated so they don’t worry if their comment doesn’t appear right away. If comments are closed, add a note to your About Page explaining why comments are closed on the site and point people to your contact form so they may contact you if they need. If comments are closed, remove the “comments are closed” text so it doesn’t annoy people and the site looks like a magazine site rather than an interactive site. There are several WordPress Plugins and design techniques to hide or remove the comments closed notice. CAPTCHAs don’t work. These are the graphic torture tests, quizzes, and silly tests people put on their comments to force the user to type in before they can comment. Don’t do anything that gets in the way of a commenter. Mark comment spam as spam and protect the good comments. This keeps legitimate commenters from being in the spam comment queue, sends comment spam to the comment spam database to help all of us fight comment spam on our blogs, and keeps our blogs clean for our readers. Share your self-discoveries about comments and these blog exercises here or blog about this on your own site, sharing your insights with your readers, giving a little hat tip back here for us to follow in the trackbacks, or leave a properly formed link in the comments so participants can check out your blog exercise task. This entry was written by Lorelle VanFossen and posted on July 2, 2013 at 4:21 am and filed under Blogging with tags akismet, blog comments, blog exercises, blog writing, blogging tips, comment box, comment moderation, comment spam, comments, comments are closed, how to blog, how to comment, interaction, interactivity, moderation, spam, turn off comments, Writing. Bookmark the permalink. Follow any comments here with the RSS feed for this post. Post a comment or leave a trackback: Trackback URL. I have my comments set to moderated and always have done. It works well for me, allows people to comment without the hoops and allows me a certain amount of protection against those who would simply abuse on unmoderated comments. I have only felt the need to close one post (from nearly 1500) to comments, as it became a spam magnet; it was on spam and highlighted some of the more popular spam comments which spammers then search on. That it would attract spam was a no-brainer! Whenever I come across a blog, a news site or anything similar where commenting isn’t easy – unless I can log in through G+, Twitter or Facebook – I simply go away. No matter how good the article, no matter what I want to say, I leave. I don’t want the hassle: there are plenty of other web sites out there just waiting, eagerly…. Spam bots are attracted by specific keywords, so this type of response is logical. Good for you. Thanks for sharing how easy it is for you to not comment when you hit a road block. I’ve actually had people argue with me that this isn’t true, but it is so very true and my own research has proven this time and time again talking to hundreds and hundreds of people over the years. I totally understand your worries, but if you are monitoring comments through the Comments Panel in WordPress, how can you miss a comment? They are all there in a list. You may still receive email notification of a comment without having comments set to be moderated. If you are really paranoid about the discussions on your site and missing any, then add the comments feed for your site to your feed reader and you will see them all pop up as they come in. Many options to keep track of comments without closing them or moderating them, which still maintaining control. Never forget, if you choose to moderate comments, make sure your WordPress Theme has a notice advising commenters that the comments are being moderated. You just need to let them know so they will be patient with you. That’s the part of moderation I don’t like. I don’t like leaving a comment unreleased for two or three days if life takes me away from my site. I think that’s ruder than a day or so without response. Explore all the other options and let us know if they will work for you. I totally understand your concerns. Many feel the same so thanks for sharing. Thanks for the reply Lorelle and monitoring them is not really the problem. I am just the kind of person who do things a certain way and will try different kinds of approaches until I find something that works best for me and working with a feed reader is not an option for me as well as I’ve worked like that before and so far checking my comments in the pending section on WordPress works a lot better, but thanks for the suggestion. So far I’ve come across a lot of bloggers that do prefer moderating and I do have a notice at my comment prompt that let them know that the comments are moderated. I do agree with what you say if you have to be away from your site for a few days and then the best would be to let your followers know about the situation and then change the settings to unmoderated until you get back or even set the posts to no comments for that reason only, until you get back. That is what is so much fun about WordPress, there are many ways to do the same thing. Thanks! I monitor comments to avoid the ugly ones–people who can’t join a conversation without insulting people, cussing, or–well, you know the type. My blog isn’t political, but I still get detractors. I like a vibrant conversation, but respectful. That being said, I don’t get so many that I can’t easily track them all. Agreed. I understand why bloggers don’t allow comments, but would never recommend it. Comments increase engagement, give people a reason to come back, and allow blog posts to take on a life of their own. Most importantly, comments are a way to build a community around your blog, which is what every blogger should aspire to do. However, to each their own. It’s not like you NEED comments to become a great blogger. Seth Godin is a good example. A comment try to always open your eyes to more “research objective”. 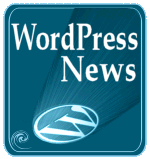 Its very nice to work in wordpress.Can You provide a full of tutorial about word press? Yes. 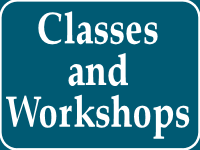 Please see my WordPress Lessons featured on the front and sidebar of this site. Thanks.